The longest shot in the trailer for the new Indiana Jones film shows an army jeep with the code 1B7731 printed on the side. That’s pretty close to 1B1337 (or I Be l337, geekspeak for “I am elite”), but not quite enough to constitute a hidden reference. Perhaps more surprisingly it’s also not a match with THX-1138, that being the name of George Lucas’ first film and a motif that appears hidden throughout many other Lucas-related films (including Raiders of the Lost Ark, as the code that’s printed on the side of the sea plane in the opening scene). A quick Google reveals that 7731 is in fact the Tokyo Stock Exchange trading number of the Nikon camera company. So was this fairly obscure reference inserted deliberately? Maybe. In The Lost World, also directed by Spielberg, a Nikon camera is used as a plot device, but it doesn’t seem likely that this in itself is a cool enough connection to warrant a special shout-out. 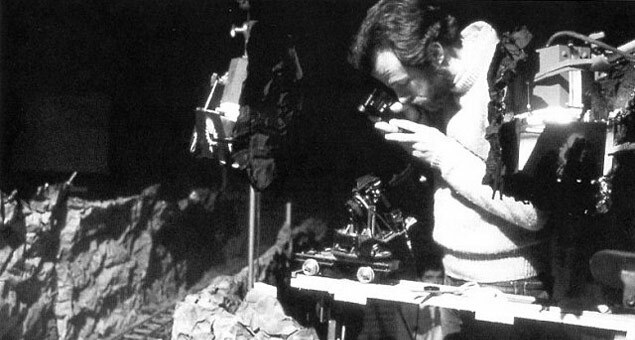 A more likely candidate is Indiana Jones and the Temple of Doom, where the Industrial Light and Magic effects team had to construct a tiny custom Nikon camera to film the miniature models used in the mineshaft scene. That’s where the trail goes cold, though; nothing online to suggest any other major connection between Spielberg/Lucas and Nikon. Still, they could just be huge Nikon fanboys. I’m calling this one plausible. There’s a list of 1138 references in previous films at Wikipedia, of course.